Captivating the skills of our professionals, we are involved in offering best quality of Wrapping Machine. 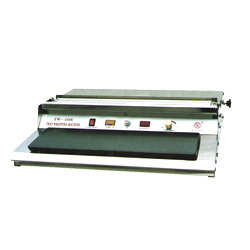 This Wrapping Machine is available in market in different sizes and specifications. Stretch Wrapping Machine are used to stretch wrap film around a loaded pallet. The wrapping provides extra support and security while the products are being additionally wrapped loads can be easily separated and identified and can be easily handled. Stretch Pallet wrappers are widely used in electronic, food industry products, beverages and home appliances industry. The machine has Auto Pneumatic clamp and cutting assembly thus increasing the efficiency and saving time. 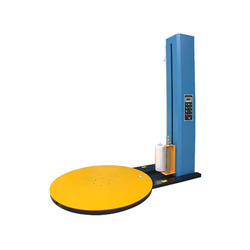 The machine has height sensor with top and bottom wrap counters, with the option of reinforcement wrap the machine has pre-stretch facility. 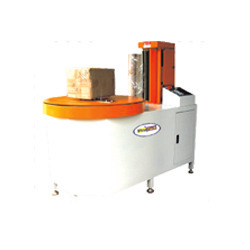 Carton Wrapping Machine are designed to wrap boxes and related items from safety and protection of the products. These wrapping provides extra support movable and manually operated rotary turn able device used to stretch film and wrap the product. The operator places the product to be wrapped on the platform and adjust the vertical rods to secure the product according to the size of the product, and then the wrapping process begins. The operator presses the start button and the packing process begins. The machine packs the luggage by a three to five layers of stretch film. Tray Wrapping Machine adopts electronic constant temperature, auto-cut and auto-shrink. It’s suitable for food and fruit fresh keeping package, and is ideal equipment for supermarkets. These products are available in market at most reasonable prices. The offered products are highly durable in nature.